Cline takes part in many reading programs through out the year. Two of the programs that we participate in are the Texas Bluebonnet List and the Texas 2x2 List. The Bluebonnet program is run through the Texas Library Association and students in grades 3-6 are eligible to participate. 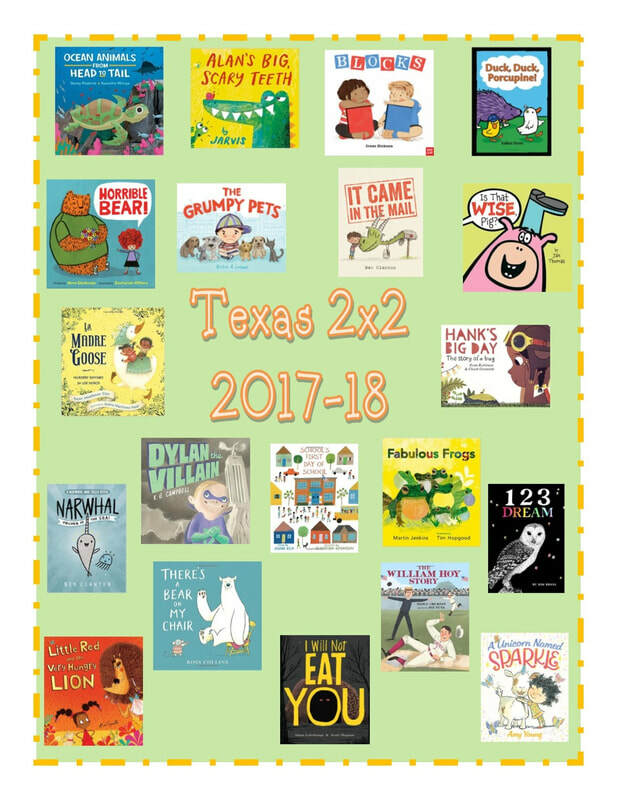 The Texas 2x2 List is put out each year by the Children's Round Table and is a list of books that are intended for two year olds to second grade. Both of these programs provide students with top rated book nominees each year and are a fun way to get involved in reading. Click on the links below for more information and to print out tracking sheets to follow your progress. Here are all 20 Book Trailers for the 2017-2018 Bluebonnet Award Nominees. Please click on the link below to access all the forms and information needed to participate in the 2017-2018 Bluebonnet Program. Mrs. Lewis will go over the details of the program in class with all third grade students. Voting will take place in the library the last two weeks of January. You can print out a tracking chart from the link below. Happy Reading! The Texas 2x2 List is a great resource for quality read alouds for children from two years old to second grade. There are 20 books that are nominated to make the final list each year. We have a copy of each of these books in the library. I will be reading some of them in class and students will have the opportunity to check out the books too! There is a fun boot shaped tracking chart that students can color in each time they complete a story. When they have read all 20 books the boot will be completely colored! I will have copies of the boot in the library as well. Happy reading!